Deck of Playing Cards from Georgia, unknown publisher, c.1920. 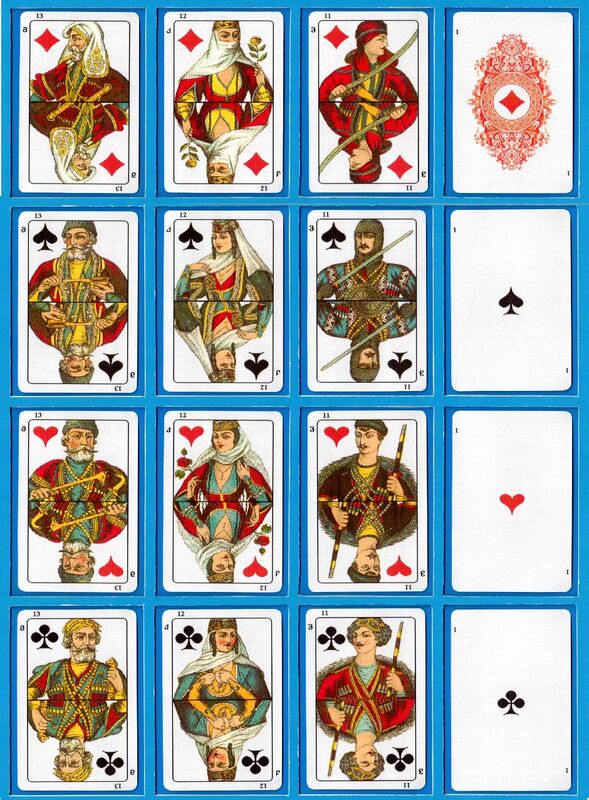 Above: cards from pack of playing cards from Georgia (Russia), unknown publisher, c.1920. From the index numbers we can tell that the complete pack had 52 cards. Images courtesy Albinas Borisevičius.